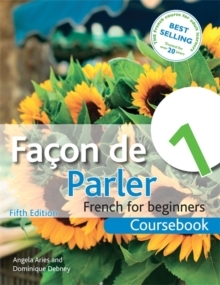 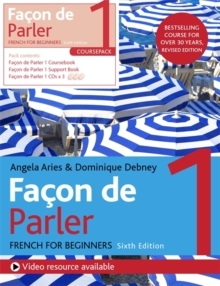 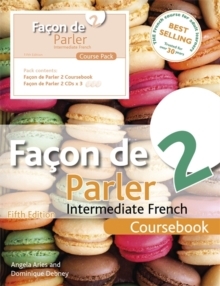 Facon de Parler 1 is the first of a two-volume, highly illustrative and communicative course, specially designed for the adult beginner. 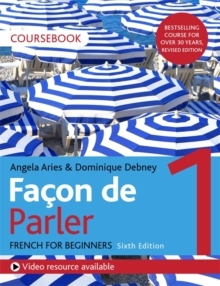 Angela Aries and Dominique Debney guide you step by step through all the basic language skills you need for holiday, business or exams and there is plenty of opportunity to practise what you have learned as you go along. 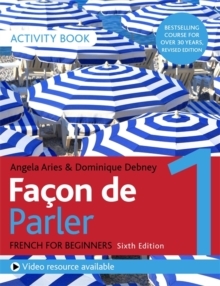 Now in full colour, each of the units contains the following:- lively, illustrated dialogues and comprehension questions- structured pair-work and group-work activities- basic vocabulary and useful expressions- grammar notes- listening comprehension (for work with the recordings)There are also regular revision sections to consolidate the main topics and grammar points, while a useful reference section is followed by a French-English end vocabularyFacon de Parler 1 is ideal for group work and can also be used for individual study and revision purposes.